Congress is crippled by ideological conflict. The political parties are more polarized today than at any time since the Civil War. Americans disagree, fiercely, about just about everything, from terrorism and national security, to taxes and government spending, to immigration and gay marriage. 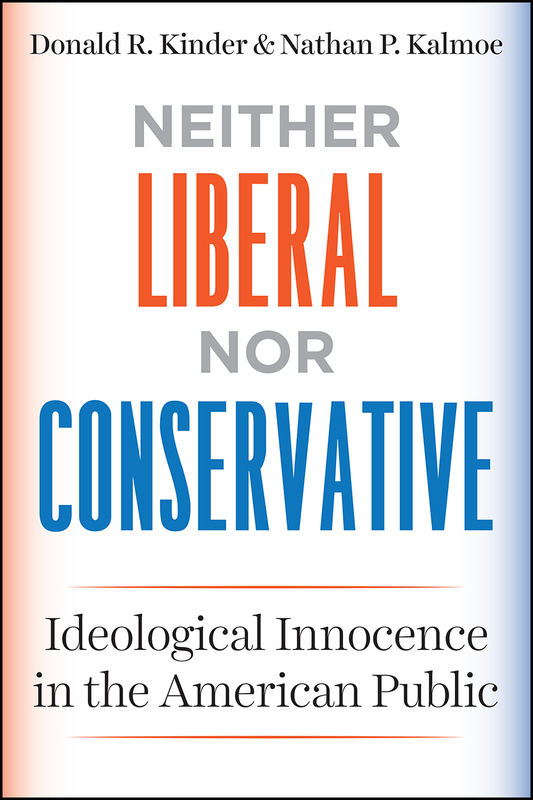 Nathan Kalmoe argue that ideological innocence applies nearly as well to the current state of American public opinion. Real liberals and real conservatives are found in impressive numbers only among those who are deeply engaged in political life. The ideological battles between American political elites show up as scattered skirmishes in the general public, if they show up at all. If ideology is out of reach for all but a few who are deeply and seriously engaged in political life, how do Americans decide whom to elect president; whether affirmative action is good or bad? Kinder and Kalmoe offer a persuasive group-centered answer. Political preferences arise less from ideological differences than from the attachments and antagonisms of group life. Appendix B: Are Moderates Ideological? "Neither Liberal nor Conservative stands as an important corrective to the prevailing narrative that American voters are becoming more ideological."